The Northrop Grumman B–2A Spirit is an intercontinental bomber that employs low-observable technology, so-called "stealth", to achieve its mission. Since 1989, B-2 aircraft have flown more than 14,000 sorties and accumulated more than 75,000 flight operating hours. The B–2 Spirit is powered by four General Electric F118-GE-100 turbofan engines, each providing 17,300 pounds of thrust. The B-2 has a crew of just two pilots, a pilot in the left seat and a mission commander in the right, compared to the B-1B Lancer's crew of four and the B-52H Stratofortress' crew of five. A dramatic leap forward in technology, the B–2 is an all-wing aircraft with no fuselage and no vertical tail. The design eliminates much of the surface area that would cause drag on a conventional aircraft. At the same time, it eliminates many of the surfaces and edges from which radar energy would normally reflect. Its stealthy features are also derived from a combination of reduced infrared, acoustic, electromagnetic, visual, and radar signatures. The dramatically reduced sum of these signatures makes it difficult for even the most sophisticated defensive systems to detect, track, and engage the B–2. From its twin weapon bays, the B–2 Spirit is capable of delivering massive firepower in a short time, anywhere in the world and through high-threat defenses using both conventional and nuclear munitions. The B-2 is equipped with the Raytheon AN/APQ-181 Active Electronically Scanned Array (AESA) radar (upgraded version of the original radar), a low probability of intercept, all-weather radar system, which enables the aircraft to penetrate even the most sophisticated air defenses. 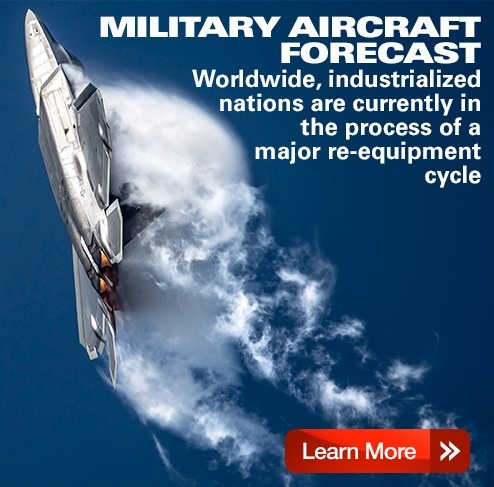 Boeing has supplied the primary structural components of the aircraft, including the outboard wing and aft-center sections, the fuel systems, weapons delivery system, and the landing gear. Vought Aircraft, now part of Triumph Group, designed and produced the intermediate wing section. The U.S. Air Force B-2 inventory consists of a total of 20 aircraft, 19 of which are based at Whiteman Air Force Base (AFB) in Missouri, the home of the 509th Bomb Wing. One aircraft is assigned to flight-testing at Edwards AFB in California to validate software and weapon systems upgrades. One aircraft, the Spirit of Kansas, was lost in 2008 in a crash that occurred during take-off from Andersen AFB in Guam. As part of an Air Force contract for maintenance support, B-2 aircraft are periodically sent to Northrop Grumman's Palmdale California facility for depot-level maintenance. 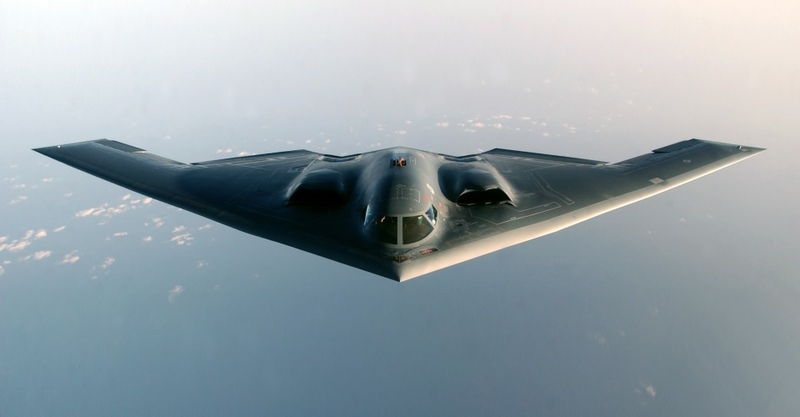 On June 3, 2014, Northrop Grumman Systems Corporation was awarded a contract for B-2 modernization and sustainment with a a ceiling of $9.9 billion. The contract requires Northrop Grumman to provide B-2 enhancements, sustainment logistics elements including sustaining engineering, software maintenance and support equipment. Also included is programmed depot maintenance of the fleet and other interim contractor support. The work is to be completed by May 2019. The B-2 Spirit has two internal weapon bays that can carry up to 30,000 pounds of ordnance each. The B-2 carries a wide range of nuclear and conventional weapons including B61 and B83 nuclear bombs, Mk 82 and Mk 84 General Purpose Bombs, AGM-154 JSOW, AGM-158 JASSM, and GBU-31/38 Joint Direct Attack Munitions (JDAM) as well as several other types of ordnance. 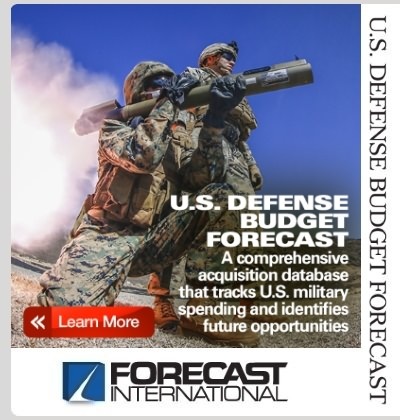 The massive GBU-57 30,000-pound Massive Ordnance Penetrator (MOP) is currently being integrated on the B-2 for use against hardened, deeply buried targets. Future weapons that will/may be fielded on the B-2, include the AGM-158B JASSM-ER and GBU-53 SDB-II. For more details, see specifications below. The primary mission of the B–2 is to enable any theater commander to hold at risk and, if necessary, attack an enemy's warmaking potential, especially time-critical targets that, if not destroyed in the first hours or days of a conflict, would allow unacceptable damage to be inflicted on the friendly side. The B–2 will also retain its potential as a nuclear bomber, reinforcing the deterrence of nuclear conflict.